WordPress is an open source and completely free for all to use. Most times, many WordPress themes display copyright text and credit links in the footer. You may want to get rid of the footer text or customize it to suit your needs. Depending on the theme in use, there are many ways to customize the footer text. 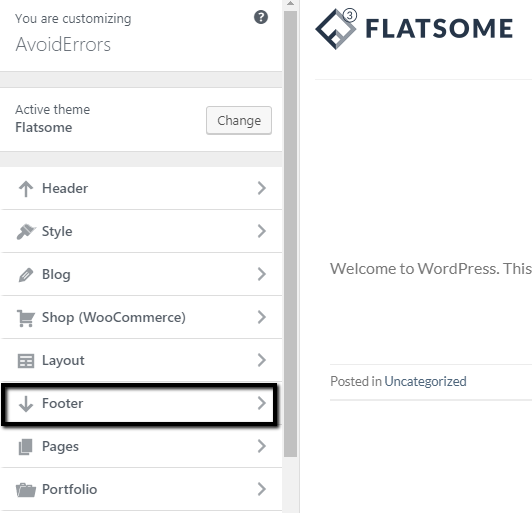 You can use a plugin to easily customize the footer text and other theme options by reading This tutorial. In this post, you will learn 2 ways you can remove WordPress links without any plugin. Here we will use the footer/ footer text/ credit links option under the live customizer menu. 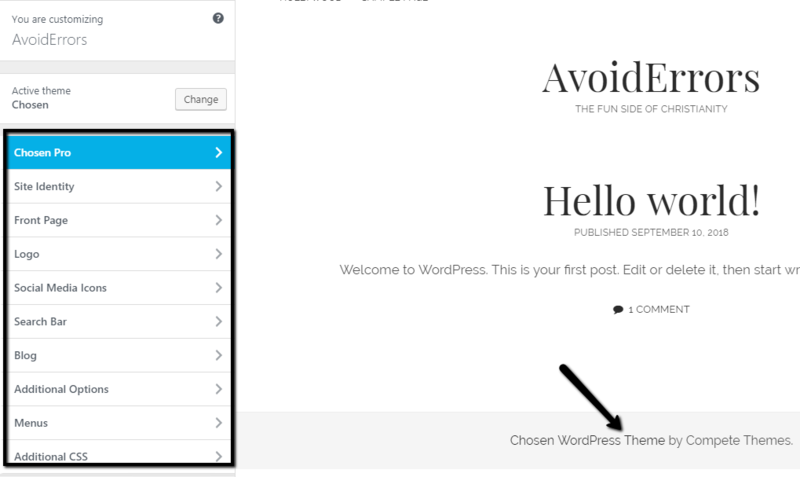 First, log into your WordPress dashboard. Under ‘Appearance’ tab, click on ‘customize’ to open the live customizer. Next, click on the footer or footer text or credits. This may vary depending on the theme in use. Customize the ‘Bottom Text – Primary’ to suit your requirements. The changes will appear on the right tab in real time. Click on the ‘Publish button at the top to save the changes. Note: This method is useful if you are using a pro theme. 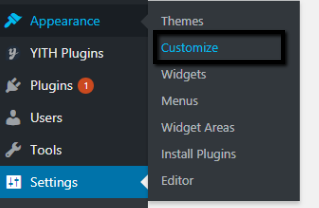 Many child themes do not have this option. If you do not find the footer option in the live customizer, use Option 2. 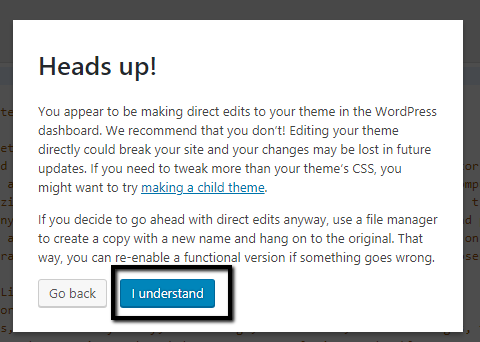 This option is helpful especially if you are using a child theme. 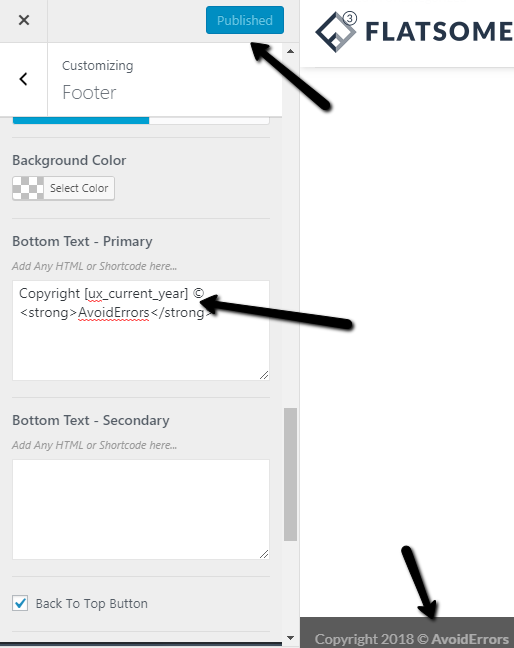 As shown below, child themes do not have the option to customize footer text. 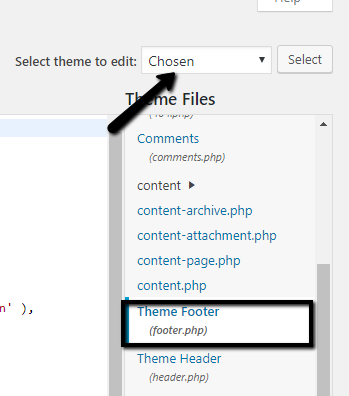 Here, we will manually change the footer text using the WordPress code editor. First, you will need to log into your dashboard and choose ‘editor’ under the ‘Appearance’ tab on the left panel. Click on ‘I understand’ on the pop-up. Find and change the text highlighted below to suit your requirements. When you are done, click on ‘Update File’ to save changes. 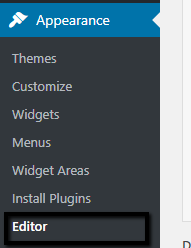 You can now edit the copyright and other footer text on any theme.